YESCO has taken its line of high reliability outdoor LCD systems and has developed a double sided version for Interior only applications. 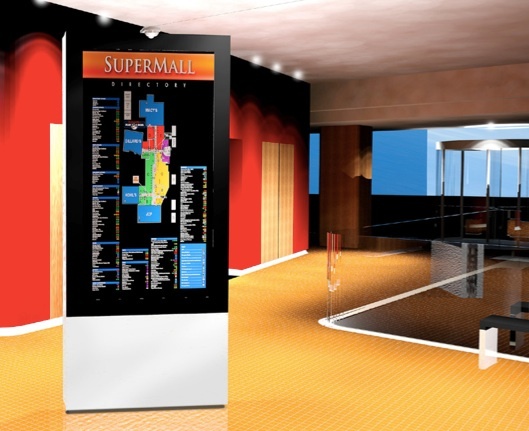 The Y80PDN system is designed to replace free standing kiosk signs in applications ranging from casino lobbies, shopping malls, sport stadium concession areas, airports, and museums. The Y80PDN features a full LED backlight technology that is optimized for ultra low power consumption. Using YESCO's LCD Control Center we can provide 24 hour live monitoring to ensure the system is always up and running. And, with YESCO Smarter Sign software you can control the content from anywhere in the world. The Y80PDN comes standard with a complete LCD control center system that includes an embedded computer/player, wireless enabled internet router to offer connection to content delivery without running ethernet or fibre, and a suite of products to provide 24 hour a day visual and remote monitoring capabilities.